Railway overhead lines: What happens to other two phases in single phase railway power? This is actually two questions. 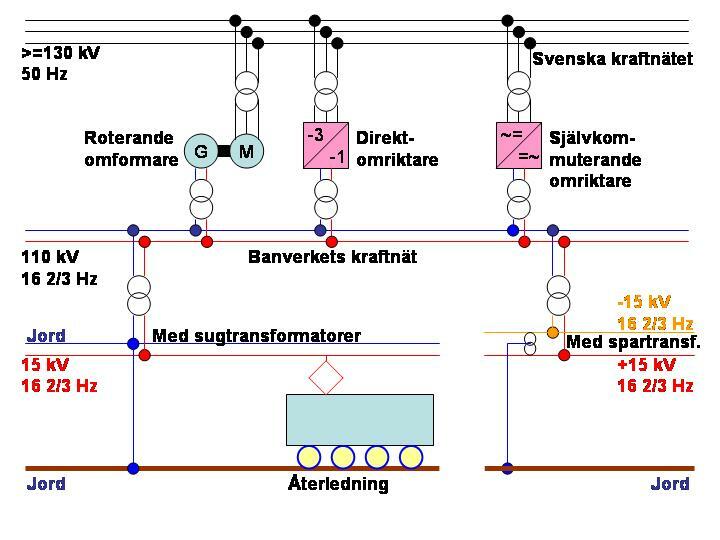 As my imagination I have the German/Swiss/Austrian/Norwegian/Swedish railway system on mind (15kV, 16.7Hz). I think conceptually the problem is the same on other AC systems. So what happens to the other 2 phases that are not used? Secondly: Is the railway net actually running phase symmetric in all it's separate sections? Or could it be that sections are driven with phase difference (so to say the other phases)? All phases of the three phase mains are used to create the single phase 16.7 Hz railway system. Back in the day there did exist separate power stations for railway but these days it’s all rotating converters (still in use, no new production) or inverters (think back to back HVDC station but only single phase output on one end and relatively low power). The Swedish Wikipedia article was excellent here. https://sv.m.wikipedia.org/wiki/Matning_av_kontaktledning Perhaps try to translate it online? Wikipedia's 15 kV AC railway electrification goes into some of the details of transmission in the countries you mention. So in order to operate a overhead AC system one must produce one phase AC power. Usually generators will however generate 3 phases of electical output. But for such a System you need only one. Yes and no. Ideally you would want a balanced 3-phase load to present a constant mechanical load to the driving engine or turbine. A single-phase AC generator will give a loading torque rather like a rectified sinewave. The linked article states that the power is transmitted at high voltage from the central power stations so it may be possible to use a three-phase generator and feed the single phases out to different areas in the hopes of balancing the three phases to some extent. And it is understatement that a generator or 2-phase system must be operated with symmetric load. The linked article states that the HV transmission is done as a split phase (180°) but this may be primarily to allow 55 - 0 - 55 kV rather than 0 - 110 kV as the electrical insulation requirements would be lower. The receiving end transformer would, presumably, take the spit phase and convert it back to single phase. The problem with this system is that the system uses 16.7 Hz frequency (which is not equal to the mains grid with 50 Hz). The fact that it's 16.7 Hz is irrelevant to the split phase. Why is using a single phase device across phases of a 3 phase outlet OK? Do I have pseudo three-phase power at home? Where is the ground/negative for overhead power lines? When tapping single phase power from a 3 phase service, how much power can safely be drawn?